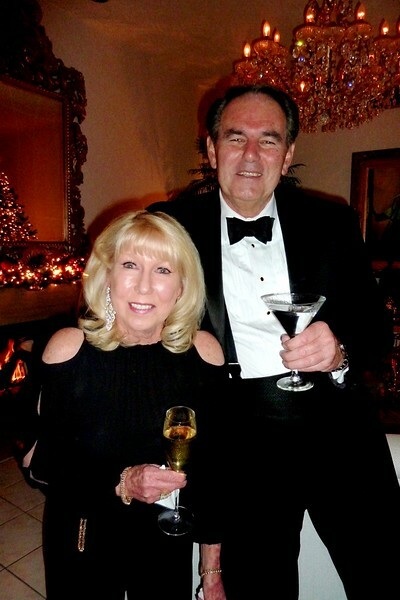 What an incredible New Years Eve party at Francine and James's home in Palm Springs. Everything was decorated to the hilt with Christmas cheer still reaching out and hugging us all. Friends and guests arrived dressed to the 10's and everyone had a smile and excitement in their heart. Catering of delicious foods was there for our 10:30 pm feast just before the midnight celebration arrived bringing in the New Year 2015. Oh, what a fun evening for all. Thank you, again, Francine and James for this wonderful elaborate party. Happy New Year!